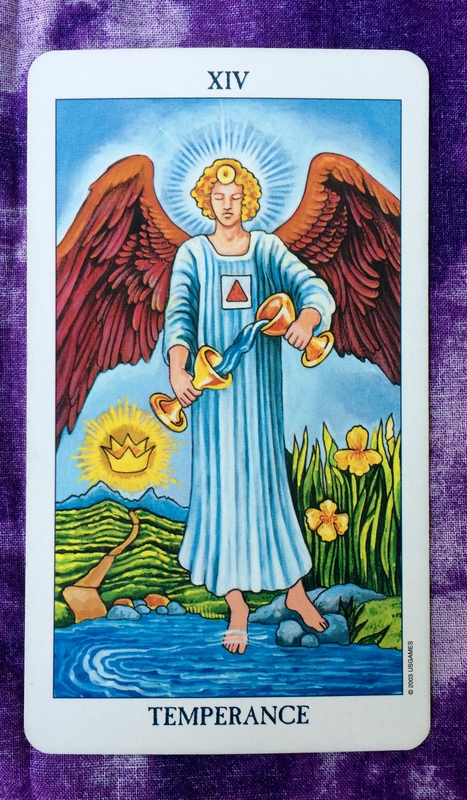 The Tarot card for today, Saturday, and Sunday is Temperance. Use the energy of this card to achieve balance and serenity. Make sure your needs are taken care of and that you honor the humanity of others. Accept no less and give no less than that. This type of magic can move you ahead on the path toward enlightenment. Starting on Monday, I will be using the Angel Tarot deck for my daily readings. (This makes today’s card even more amazing, considering the Temperance card features an angel on it!) This afternoon, I will post a review of the Angel Tarot deck, which is based on the Rider-Waite system, so look out for that. I’ll also include some photos to give you a preview in case you’re not familiar with the Angel Tarot. 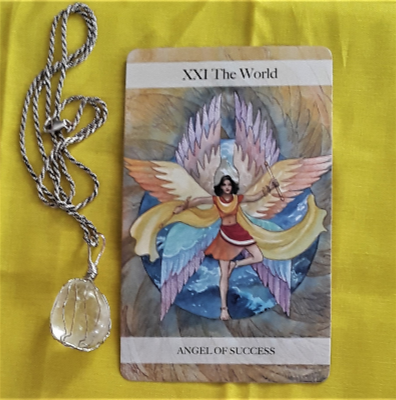 For my personal readings, I will still use the traditional Rider-Waite deck for those who prefer that, but I will also offer the option of the Angel Tarot — so you can choose either one. I’ll be working this weekend to update my Etsy shop and this website. Once you get a look at the Angel Tarot deck, I hope you are as enchanted with it as I am. As always, I would love to hear your feedback.